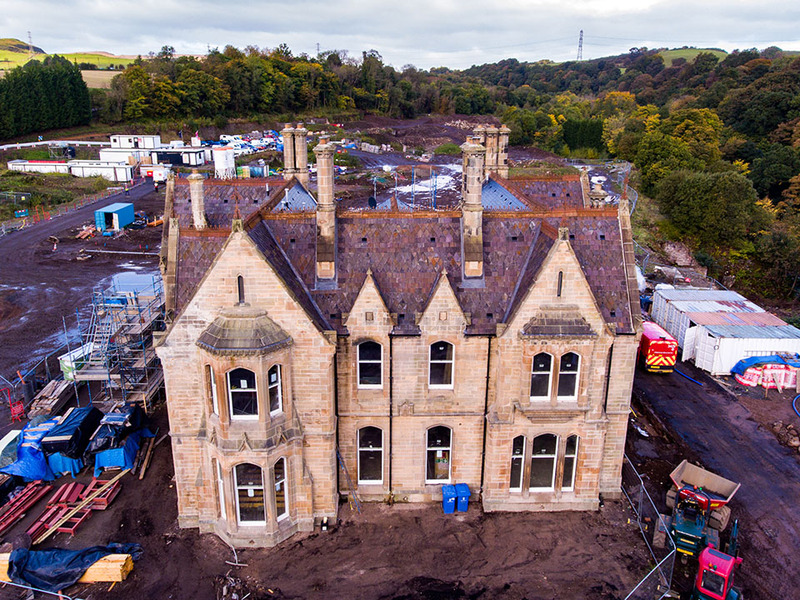 The JR Group, on behalf of Mactaggart & Mickel Homes, are making great progress with the important restoration of Carrongrove House, a prestigious Tudor Gothic villa. 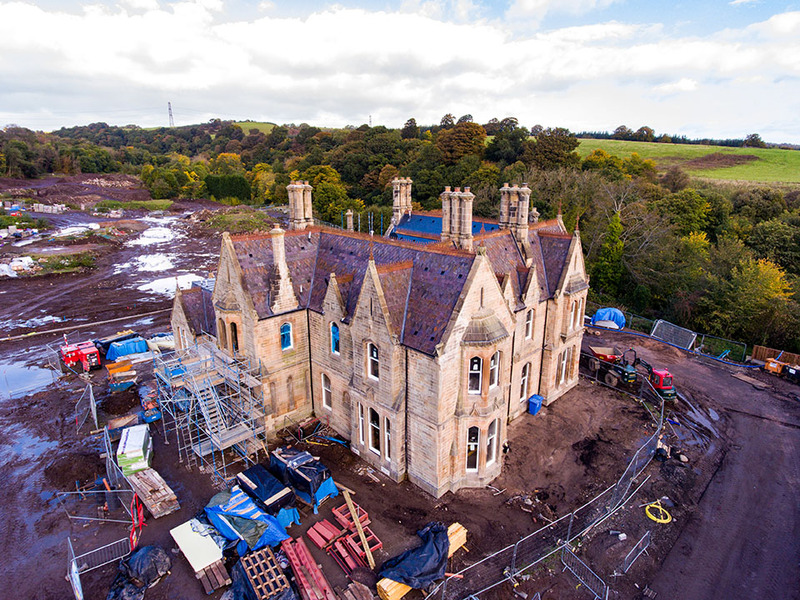 The project, which has support from Historic Scotland due to the reinstatement of old key features, will see the JR team restore the Category B Listed building to form new luxury 5Nr flats and 2Nr houses. 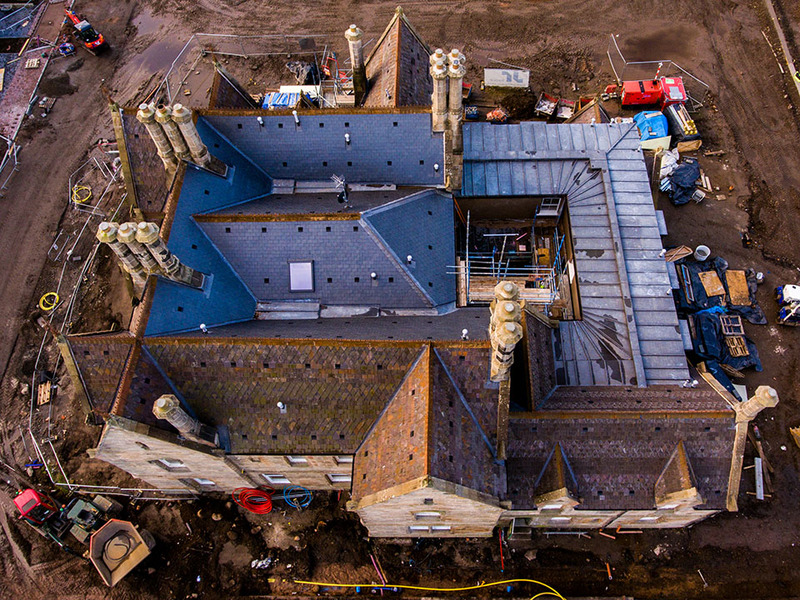 The restoration of such a historic listed building is an impressive project for The JR Group to take on. 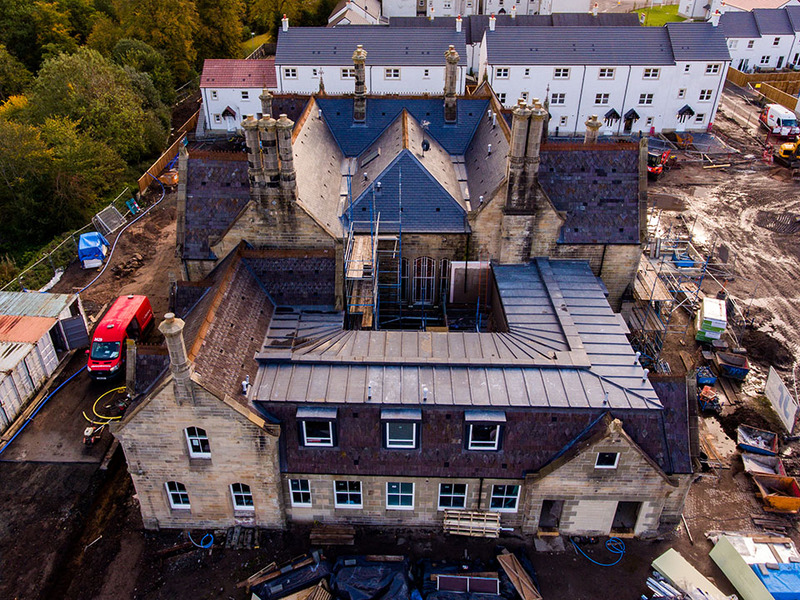 One of the most trusted and highly regarded providers of specialist building and scaffolding services in Scotland, The JR Group specialises in all forms of construction in order to create innovative design structures. 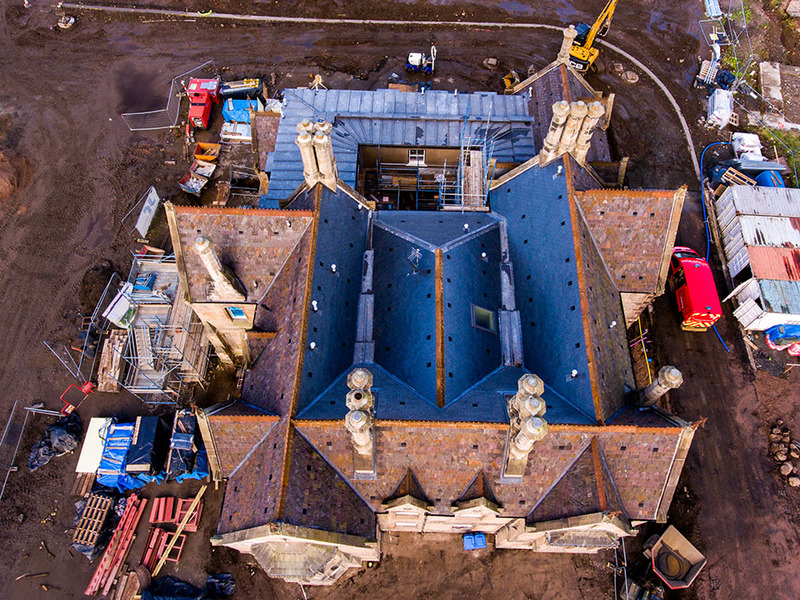 It provides services to the UK’s leading house builders, registered social landlords and private developers as well as delivering retail, commercial and leisure focused projects. 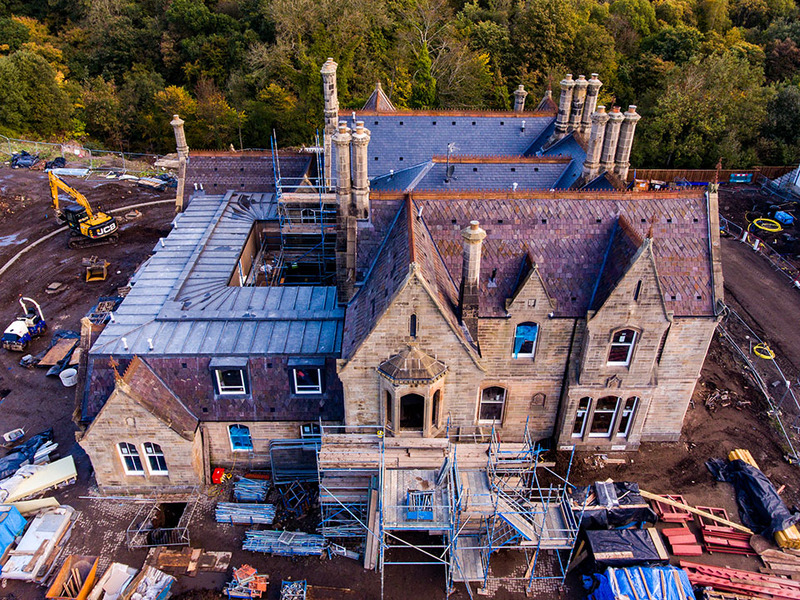 Located near Denny on the Southern banks of the river Carron in the Falkirk area, Carrongrove House is distinguished by its carved stonework, ornamental external detailing and interior joinery work. 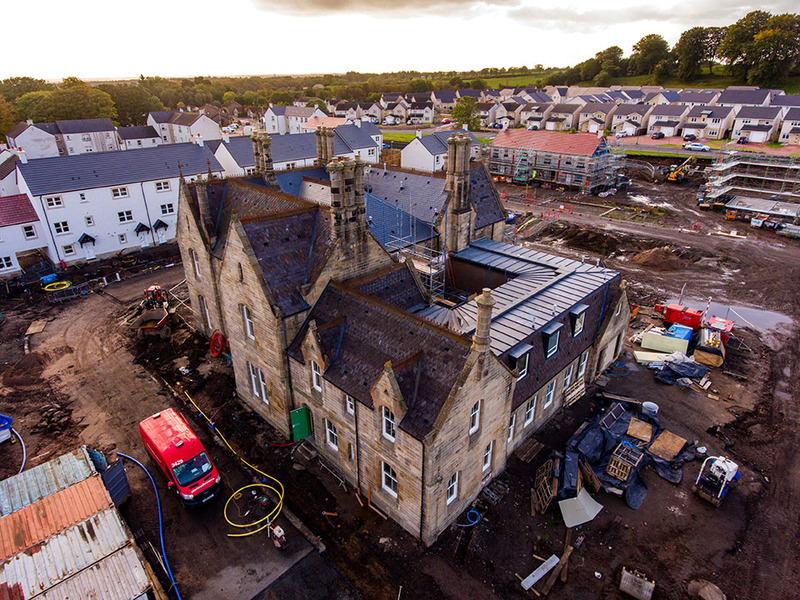 It is sited at the heart of the Carrongrove Paper Mill Complex, which opened in 1818. 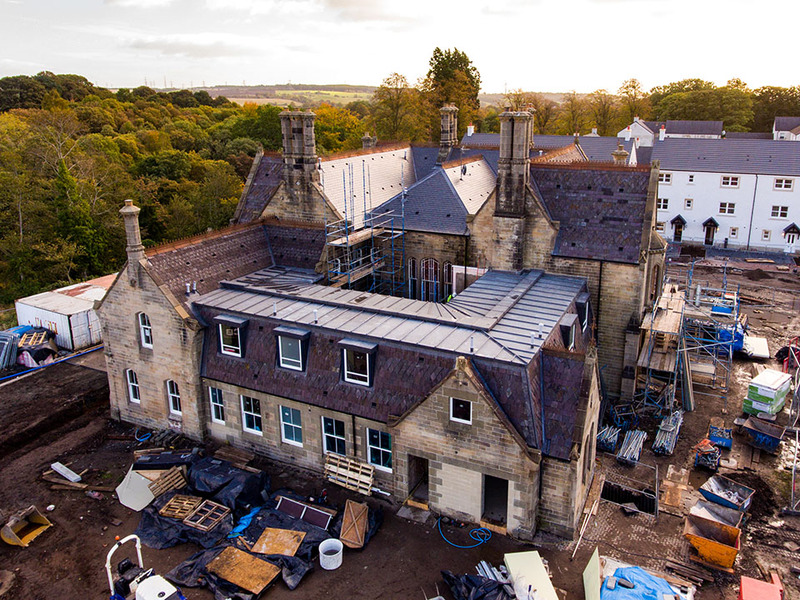 Extending to approximately 38 acres, the complex comprises former mill buildings and various ancillary features along with Carrongrove House itself. The Paper Mill was one of the most important paper factories in the area during the 19th and 20th centuries. 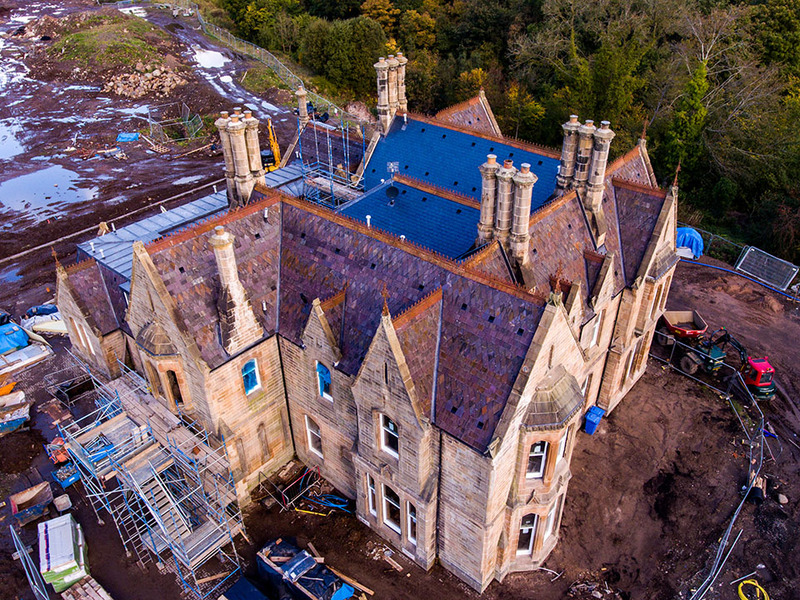 Carrongrove House itself was initially built as Glen Carron House by Andrew Heiton Junior between 1860-1862 for Andrew Duncan, who owned the Mill. The House later became the offices of Carrongrove Paperboard Mill before being renamed Carrongrove House. The interior endured a degree of impact in the latter part of the 20th century, when the building was converted for office use, however there are still many original features. This means the JR Group’s conversion work is predominantly reversible. 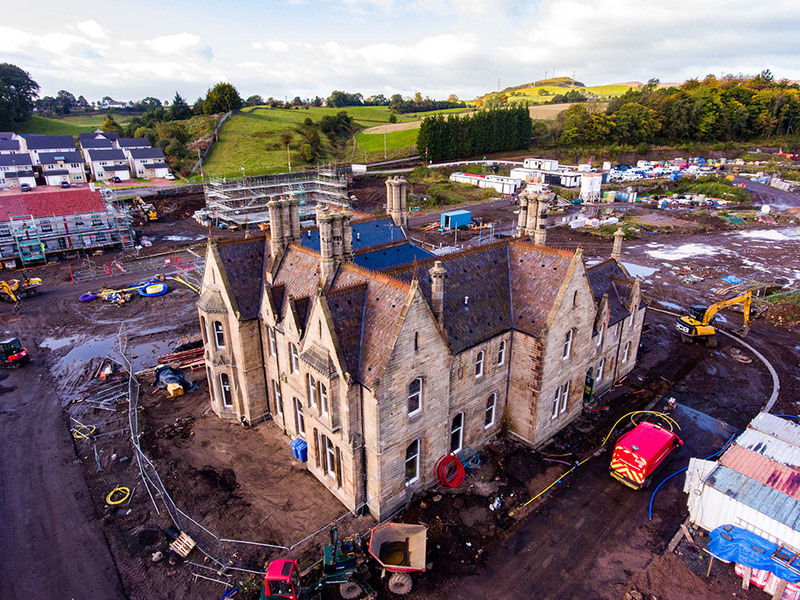 The idyllic location of Carrongrove House makes it the perfect choice for commuters who travel to Edinburgh, Stirling and Glasgow. 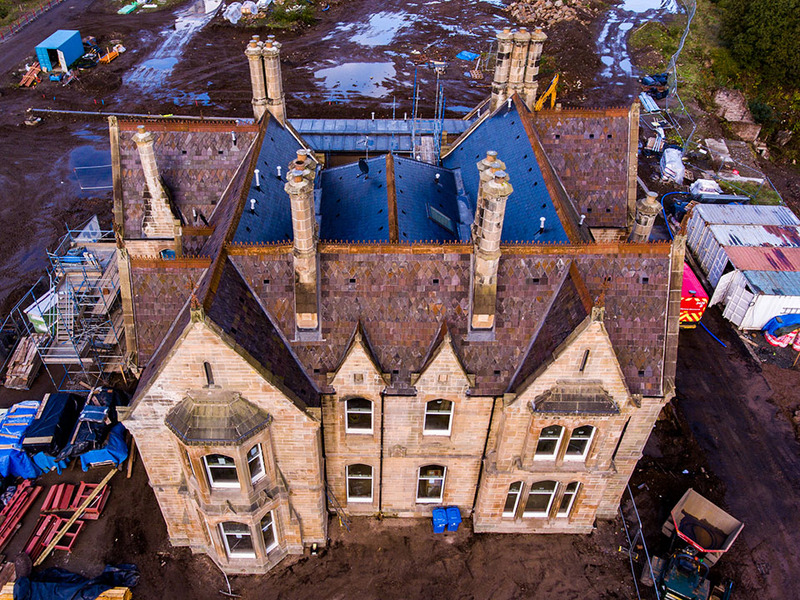 Carrongrove House will offer the perfect blend of traditional period exterior combined with all the benefits of contemporary living. 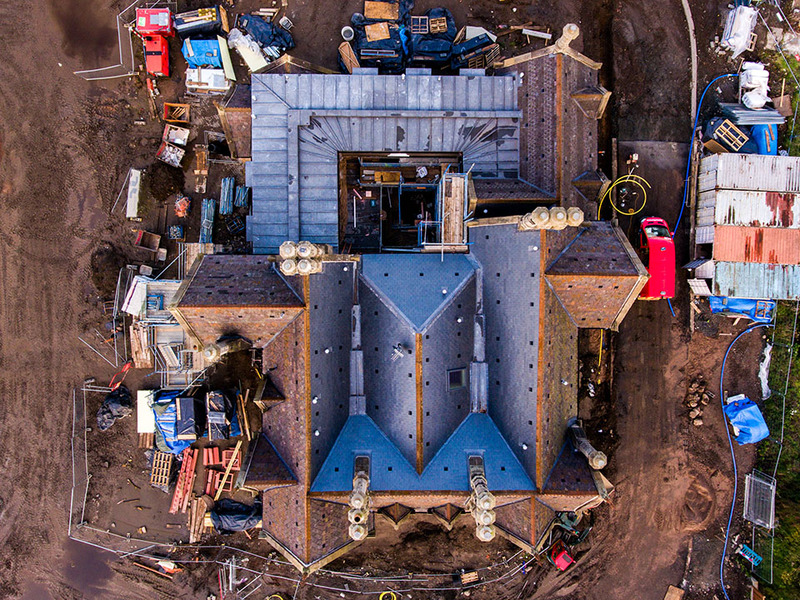 A full description of the building can be found here and you can watch an aerial video of the property above. 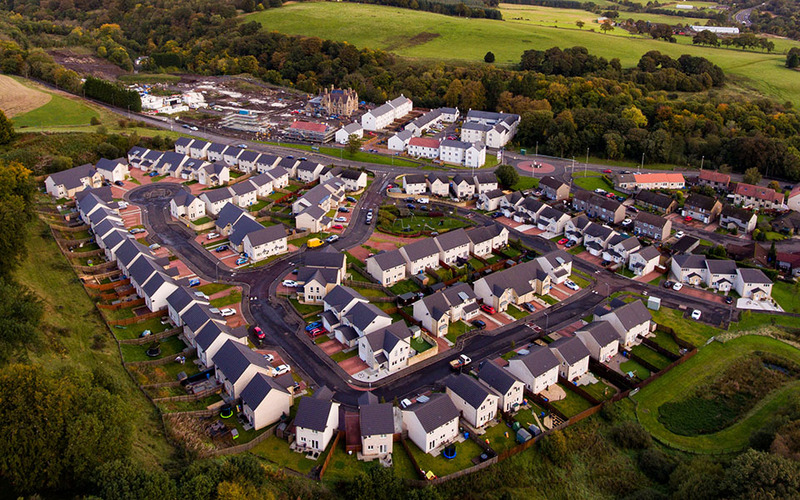 In terms of location, the villa is very accessible: Stirling is only 7 miles away, Edinburgh is less than an hour away via the M9, while Glasgow is just 30 minutes away thanks to the nearby M80. It is bounded to the south west by housing, to the east and south east by housing and vacant land and elsewhere to the north and south by countryside. The B818 road lies to the south of the site and the River Carron flows from west to east along the northern boundary. 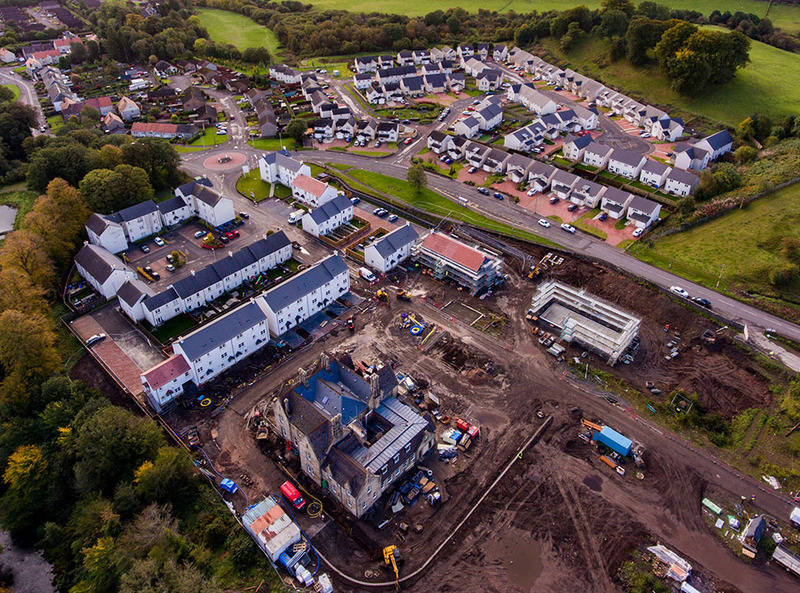 The 150-strong JR Group, now in its 23rd year, is engaged in dozens of complex projects around Scotland across all areas of construction. 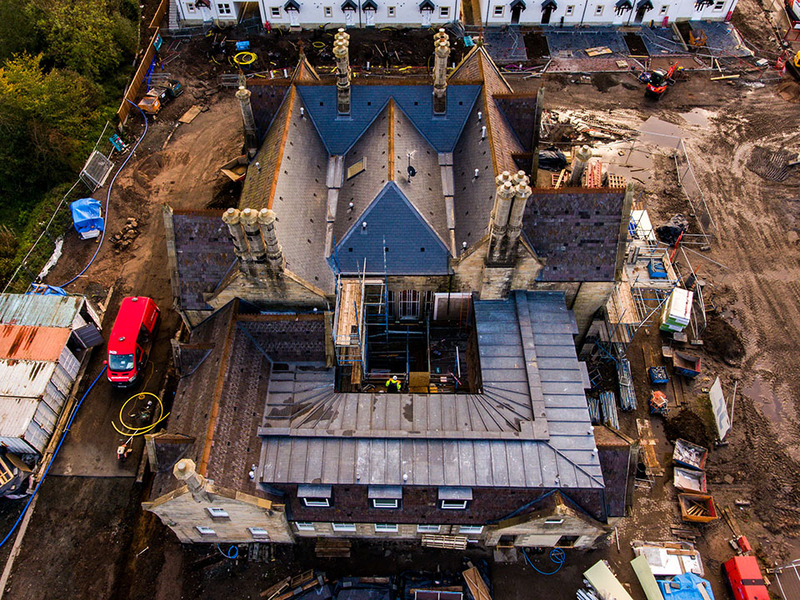 For the latest news and developments, follow The JR Group on Linkedin. 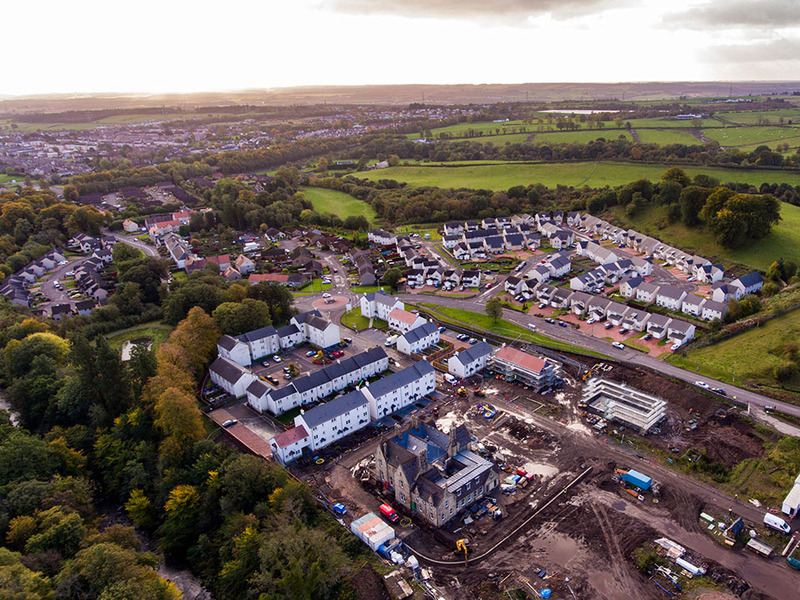 For full details of the development and sales, please visit Mactaggart & Mickel Homes.